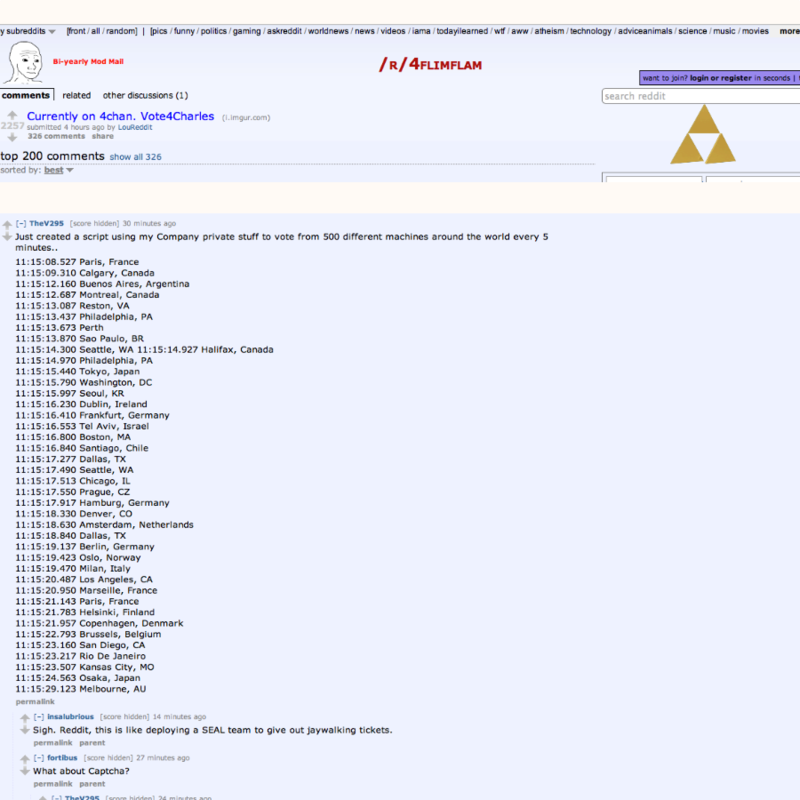 Ben Stein contributed to this post. 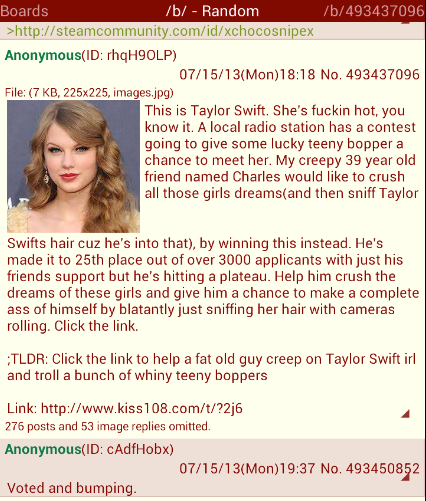 Earlier this week, Boston’s KISS FM canceled its “Taylor Swift’s Biggest Fan” contest after trolling users of the 4chan and Reddit online forums catapulted a participant to the winning spot. This and other recent promotions that have been similarly compromised serve as a reminder of the importance of having a well-drafted set of Official Rules when running a promotion. Although deciding not to award a prize is unpleasant from a business standpoint, being able to rely on a promotion’s Official Rules to do so when necessary is priceless. In the “Biggest Fan” contest, a less comprehensive set of rules might have left KISS FM without viable options in the face of major foul play. To participate in the “Biggest Fan” contest, individuals registered on KISS FM’s site and provided a brief description of why they are Taylor Swift’s biggest fan. KISS FM displayed participants’ profiles on its site, and visitors were encouraged to vote once per day for their favorite contestant by clicking a unique hyperlink. The prize for the contestant voted Taylor Swift’s biggest fan included the opportunity to meet Taylor Swift. Disappointingly, we have determined that the integrity of the "Taylor Swift's Biggest Fan" contest has been compromised. In accordance with our contest rules, effective immediately, the contest has been terminated. We apologize to all of our loyal listeners who have participated. In the ”Taylor Swift Biggest Fan” contest, the way out for KISS FM, although no doubt painful for the contest’s organizers and the legitimate contestants, was legally simple: terminate the contest in accordance with the Official Rules. Wisely, KISS FM and its parent, Clear Channel Broadcasting, Inc., had posted rules to govern the contest, which included a number of clauses meant to address situations like the Charles fiasco, including the following “poison-pill” clause: “[KISS FM] further reserves the right to cancel, terminate or modify the contest if, in the sole discretion of [KISS FM], it is impossible or impractical to complete the contest as planned for any reason, including, but not limited to, infection by computer virus, bugs, tampering, unauthorized intervention or technical failures of any sort.” The rules also made clear how to place a legitimate vote and described generally the types of mechanisms, such as scripts and macros, which would not be permitted. KISS FM also had a set of contest FAQs - much shorter than the Official Rules – which helped emphasize the votes that would be allowed. In any promotion, not having Official Rules or using just a set of “template” Official Rules will not allow the sponsor a full set of options if foul play is detected or something goes otherwise wrong with the promotion. In addition to being required by some state laws, Official Rules form a contract between the sponsor and the participants. They should make clear the responsibilities and risks assumed by each party – including contestants and tangential participants such as voters, if any. It is imperative that the Official Rules include general protective language allowing the promotion to be cancelled or modified and also address the issues that may arise given the technology both involved in running the promotion and available to the public. Having a solid set of governing Official Rules is a great starting point, but note that it is only the beginning. Those rules should be clearly and conspicuously available to participants of any type (entrants, voters, etc.) and even to potential participants. Also, other tools outside of the rules can help emphasize important points about participation, and may help make the details in your rules more likely enforceable. A set of FAQs or reminders directly on the promotion site about voting or other aspects of participation can help. InfoLawGroup has extensive experience not just with advising on all types of promotions, drafting Official Rules, and assisting with related compliance obligations, but also with advising on the latest technology being used both to run - and to thwart - online and mobile promotions. If you are contemplating running a promotion and have any questions, please contact us.